(revised 2017) How long does it take to walk from Penn Station/Madison Square Garden to well-known destinations in Manhattan? What are the best walking routes ? What if I don't want to see anything in particular but just want to walk around? In addition to the thousands of working commuters from the surrounding area, especially from New Jersey and Long Island who arrive at Penn Station via New Jersey Transit or the Long Island Rail Road, many people arrive at the station just to spend time in The City. Some have questions. Furthermore, a sporting event may have brought you to Madison Square Garden (above Penn Station), and you want to check out what the city offers near the event. This post if for you. The map below should help you measure walking distances and times from the station to well-known destinations in Manhattan - Bryant Park, the Metropolitan Museum of Art, the Empire State Building, Times Square, Rockefeller Center, Washington Square Park, the High Line, SoHo, Central Park, Dag Hammarskjold Plaza, and more. The map should also help you get a rough idea of how long it takes to walk from NYC Point A to NYC Point B. One line on the embedded map illustrates the example of walking 20 streets uptown/downtown in Midtown, a distance of approximately one mile. 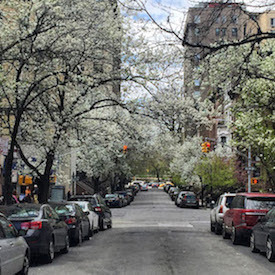 Ten numbered streets generally measures a 1/2 mile, so walking twenty streets uptown/downtown equals one mile. Walking from W. 33rd St. north to W. 53rd Street along 8th Avenue, for example, a distance of 20 blocks, measures one mile. Another line on the map, from 11th Avenue to 5th Avenue, illustrates walking the long crosstown streets, especially on the west side. Walking these crosstown blocks seems endless in comparison to walking uptown or downtown. But none of these measurements will help with measuring distances in the off-grid circular world of Greenwich Village and in other older areas of Manhattan. Walking times are only guesses, as everyone walks at a different pace. Women tend to walk at about 3 miles per hour, while the average man walks around 3.5 miles per hour. These facts alone can explain some of the heated conversations you may overhear on the street. Still, some women walk fast, and some men walk slow. A leisurely pace of 20 minutes per mile, however, doesn't account for stopping at street lights or stopping for a minute to look in windows or toying with your life as you walk and text at the same time. Therefore, the urban average may be slow, like one-half mile in 15 minutes or a mile in 30 minutes, except for those people who walk exceedingly fast. So, putting it all together, a walk from Penn Station/Madison Square Garden to Rockefeller Center is about one mile and should take the average pedestrian about 30 minutes to get there. Presumably, those spending a day walking around need to account for a return trip to Penn Station. 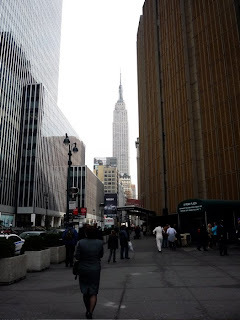 At any rate, many sightseeing attractions are within a short walk of Penn Station. 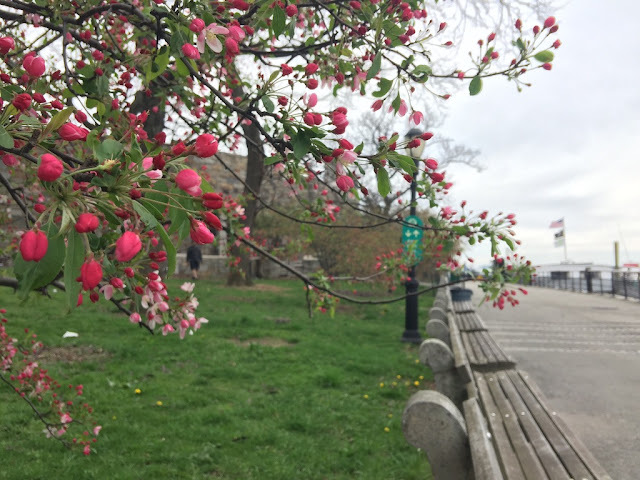 For those arriving at Penn Station without an agenda, think about walking the High Line, the city's highly popular urban park, or venture over to the Flatiron District to spend time in an older neighborhood of the city. 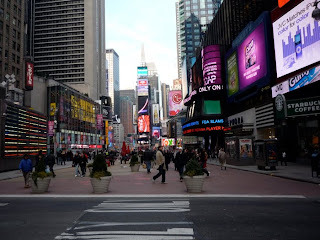 But if you're after the intense urban experience, then find your way to Times Square. It's less than a mile, and you'll be there in ten or fifteen or twenty minutes.